Continuing our summer road trip adventures! We visited two individuals doing exciting vegetable breeding work. While lots of universities and other institutions do great work with agricultural research and breeding, valuable information and great new varieties can also come from individual farmers and backyard gardeners. If you’re thinking about doing your own breeding, you might be interested in our books Breed Your Own Vegetable Varieties by Carol Deppe or Breeding Organic Vegetables: A Step-by-Step Guide for Growers by Rowen White and Bryan Connolly. Craig LeHoullier is well known to tomato fans. 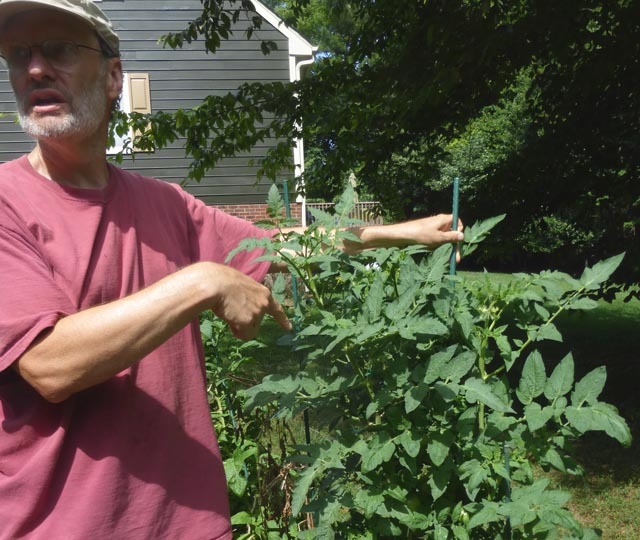 Starting in the ‘90s, he introduced many heirloom tomatoes through SESE, including Cherokee Purple. A more recent project that Craig and tomato breeders from all over the world have been involved with is the Dwarf Tomato Project – using great-tasting heirlooms in breeding new, shorter tomatoes (2-4 feet tall) that are easier to trellis and to grow in containers. We stopped by Craig’s house in Raleigh, NC to see Craig’s garden. This year Craig is growing out all 36 dwarf tomatoes that have been released so far. Craig cautioned us before we visited that with the heat and rain and all, his tomatoes were starting to get some diseases, but we thought that was great – a nice chance to see how the different varieties handle disease! We already carry one of the dwarf varieties, Rosella Purple, and as we tasted our way through the dwarf tomatoes, we were taking notes for our wish list of more dwarfs to grow for seed crops. Craig grew these plants in straw bales in his driveway! A great gardening technique is to add some compost to the top of a straw bale and plant into the compost; as the plants grow, they’ll reach their roots into the straw, and since straw bales hold a lot of moisture, the plants won’t need much watering in between rains. 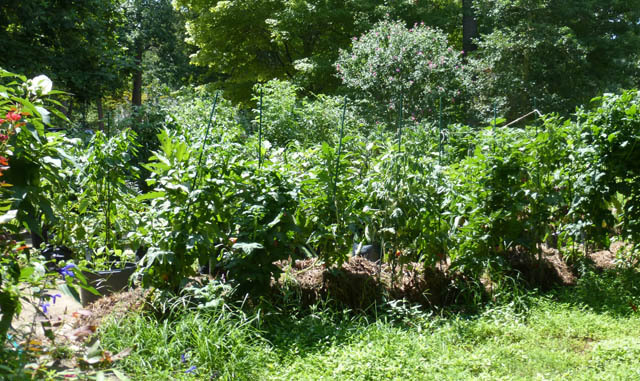 It’s a great way of growing tomatoes in containers without actual containers – Craig’s writing a book about it, look for it sometime this next year! 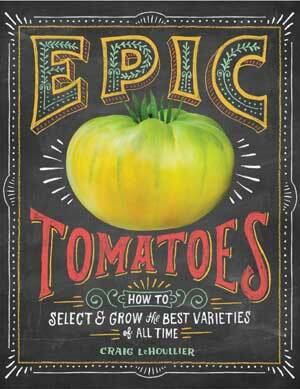 Craig’s book Epic Tomatoes came out last December, and he’s been busy giving talks and doing book signings for it. He’ll be at this year’s Heritage Harvest Festival at Monticello, giving a special pre-festival talk on Thursday, September 9th as well as giving talks on Friday and Saturday. Many of the tomatoes featured in Craig’s book will be featured in this year’s tomato tasting at the festival, so expect to see Craig hanging out there as well! 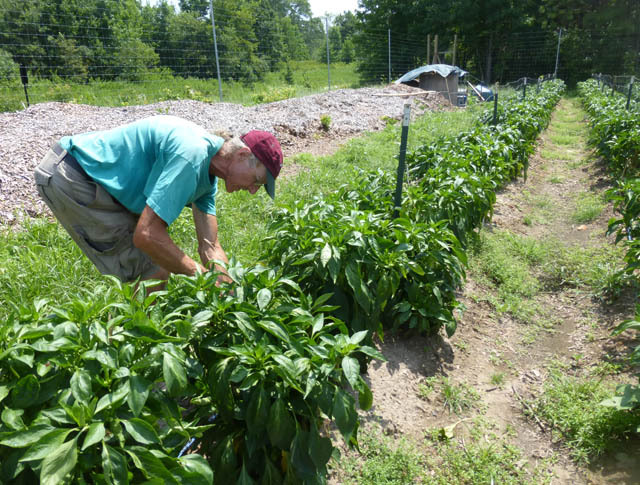 Pittsboro, NC farmer Doug Jones is an passionate about pepper breeding. 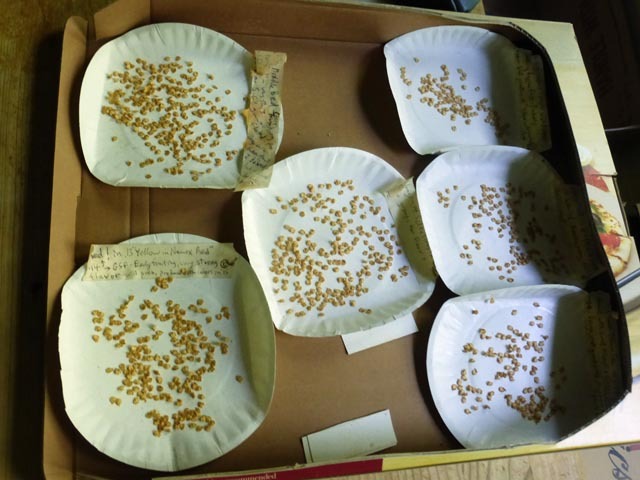 If you’ve ever been to the Carolina Farm Stewardship Association conference, you’ve probably seen him at the Seed Swap table, sorting through his peppers, checking each for taste before he takes the seed out to save. The photo below shows pepper seed from different fruits spread out for drying. Doug bred Sweet Jemison, a long yellow pepper, which we now carry; he’s a big fan of long Italian bell peppers! Doug farmed for many years at Piedmont Biofarm in Pittsboro. 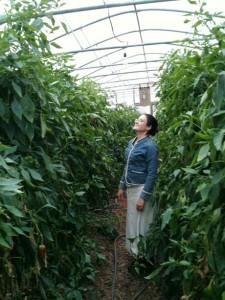 Here’s a photo from November 2011 of Irena with 10 foot tall peppers in their high tunnel!